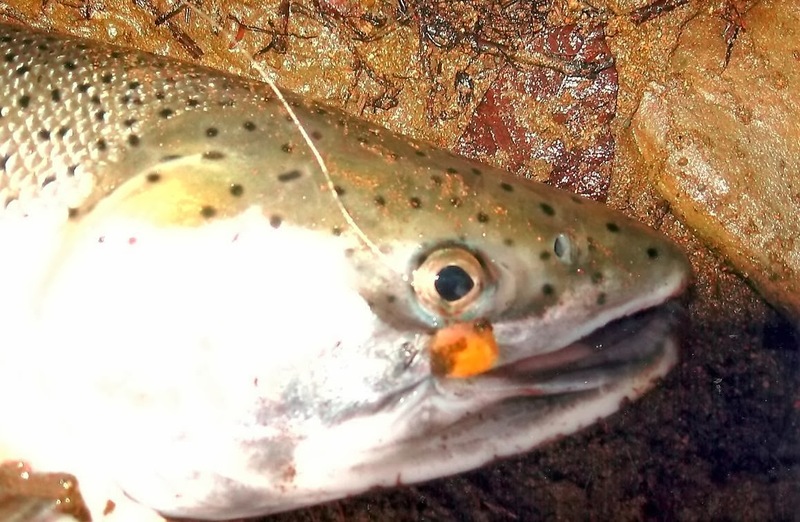 Glo Bugs are very productive for trout and steelhead and they are quick to tie. The best material is Glo Bug yarn because it has a soft texture that is easier to shape. 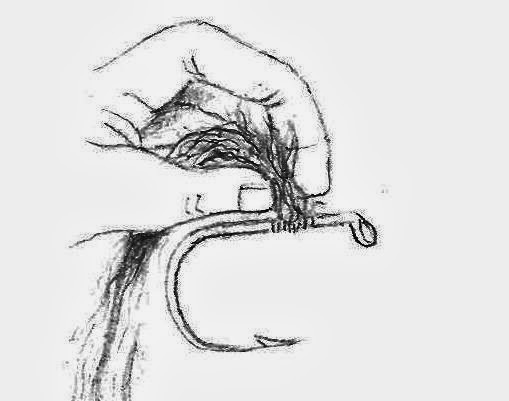 Also, a smaller hook is best to use because it allows fish to mouth it for a longer duration and ensures a positive hook-up. 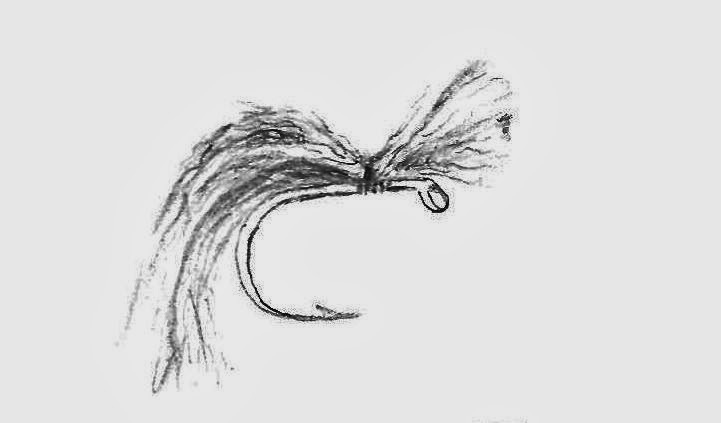 They are fished with a nymph technique which requires constant focus on an indicator and the direction of the line. 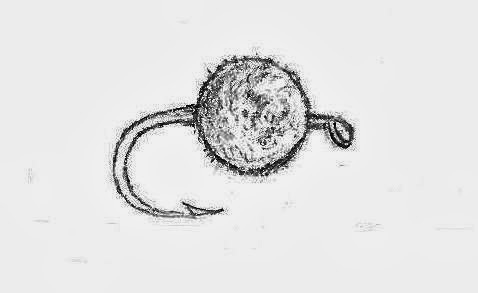 High Sticking is a method that’s used to dead drift the fly as it flows downstream. With the rod held high the line must be cast upstream and constantly mended as it flows down. Then to prevent snagging and to lure fish into striking, twitches, slack line draws and line lifts can be used effectively. 1. Depending on the hook size, fold together two or four sections of yarn and place on top of a #9523 hook, 3/16 to 1/4 inch from the eye. Next, use your fingers or bobbin to secure it with seven tight wraps of “A” nylon thread. 2. Pull the material upright and make three snug thread wraps in back of the yarn and seven or eight in front of the yarn. Depending on the size of glo bug you want, pinch the yarn and move your fingers up and away from the shank approximately 3/16 to 1/4 inch. 3. With strong, sharp scissors make one lateral cut cleanly through the yarn. Don’t make short snips. Tied and cut properly, the yarn will turn into a semi-rounded shape. 4. To complete the glo bug, firmly pull the yarn down on both sides and with your fingers compress the ball three to four times. 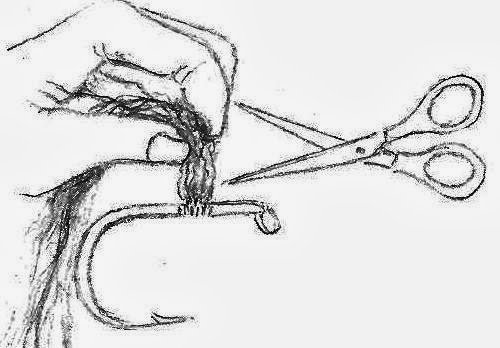 Trim off any uneven ends below the hook, and finish the head with several half hitches or a whip finish knot. A completed head is unnecessary.